How do i build a release iOS ipa file in visual studio 2015 so i can upload it to itunesconnect? 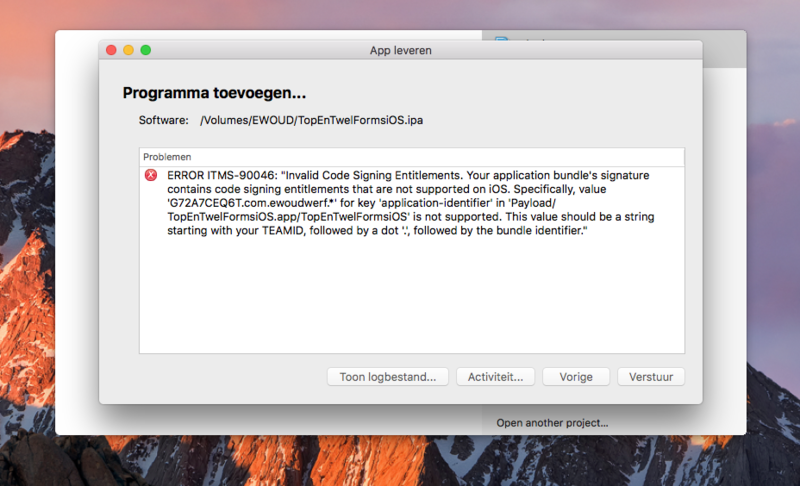 That warning is because you probably pressed the green Run with Debugging button. Instead, just use the "Project -> Build" option instead of trying to run it. Our guide on Publishing should help! Excellent! It's alright if you don't have the AdHoc or AppStore configurations. You can use Release instead. The Entitlements.plist might be empty if you haven't required any Entitlements for your app to function. Take a look through the guide on Entitlements for more info. It sounds like you are not using an App Store provision. You'll want to follow the provisioning guide to create a Distribution provision. com.ewoudwerf.myapp where myapp could be whatever your app name is.